A Scottish studio is inviting art and textile lovers to watch the cutting off of Water Surface 2018, its newest tapestry. 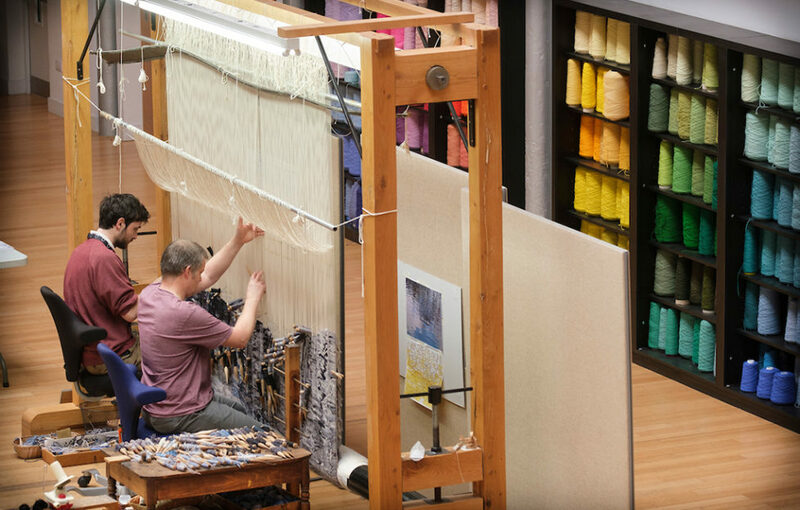 Dovecot Studios in Edinburgh is celebrating 10 years in the Infirmary Street studio, and Water Surface 2018 is almost four metres square and has been hand-woven over the past six months by master weaver David Cochrane and junior weaver Ben Hymers. Celia Joicey, director of Dovecot, said: ‘This year we are celebrating 10 years in the former Infirmary Street Baths. 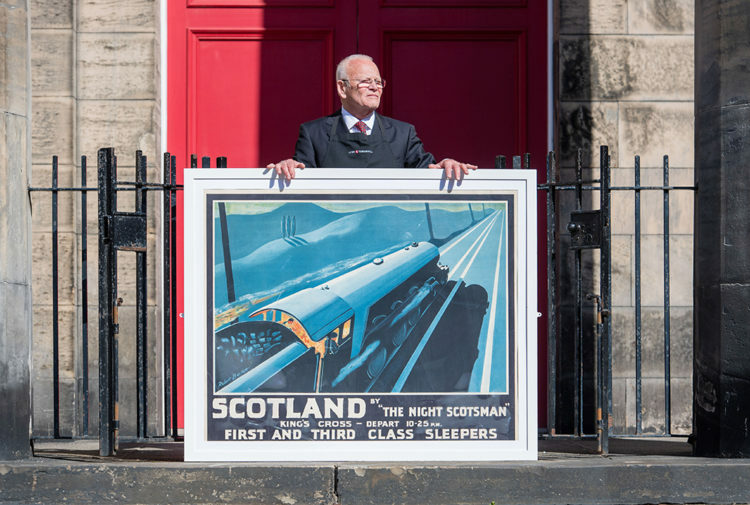 It seemed fitting for one of our master weavers to create a tapestry that reflects the properties of water while celebrating our contribution to Scotland’s fine art and textile scene. ‘Water Surface 2018 is a beautiful tapestry that epitomises the creativity and skill of Dovecot’s weavers. There are hundreds of colours in the piece, and its scale is quite imposing. The cutting off ceremony will take place from 5.30-7pm on 4 December 2018 at Dovecot Studios, 10 Infirmary St, Edinburgh, EH1 1LT.